A wealth of wisdom, a window into our past, and a well of love; grandparents are all these things and even more. Sadly, life is short, and we often don’t get to spend as much time with our loved ones as we’d like. So, it’s essential to use that precious time wisely by learning as much as you can about them. That’s why we’ve created these top questions to ask your grandparents and three activities to do with them. Taking a walk in an open space is a great way to gently keep healthy and enjoy some quality time with your grandparents. Take in the sights, breathe the fresh air and simply enjoy the day together. Feel like royalty with a spot of afternoon tea. Pick up your grandparents and spend some time truly getting to know them with tea and light snacks provided. Enjoy quality time and food. There’s nothing better than the classic moving pictures and dinner date. Grab a movie and follow it up with some dinner-time talk to discover more about your grandparents (and, of course, their movie reviews). 1. What were your parents like? No matter how old we are, we still remember our parents as if we are children. Asking about your grandparents' relationship with theirs is a window into their childhood and your family history. Got a crazy great aunt or solemn great uncle? Asking your grandparents about them is one way to uncover what they’re really like. 3. What’s the most interesting story you remember from your childhood? Everyone has one particular story or person that stick with them throughout the years that they love telling. Get your grandparents the chance to retell theirs. 4. What music did you like growing up? Love listening to classics on the radio? Well, you might be surprised (or unsurprised) to learn just how popular or unpopular these hits were at the time they were released. Or, you may even discover new musicians you just adore. 5. What was your favorite toy/activity when you were a child? Jump back to childhood and learn more about what playtime was like for your grandparents. We’re sure it was very different from the one you experienced. 6. How has the world changed since you were young? Strap yourself in and prepare for a long story (perhaps over that dinner we previously mentioned). Your grandparents have lived a long time, and with that comes experience. Discover the world anew through their eyes. 7. If you could change anything in your life, what would it be? Regret is a powerful thing, but it should never get the better of you. 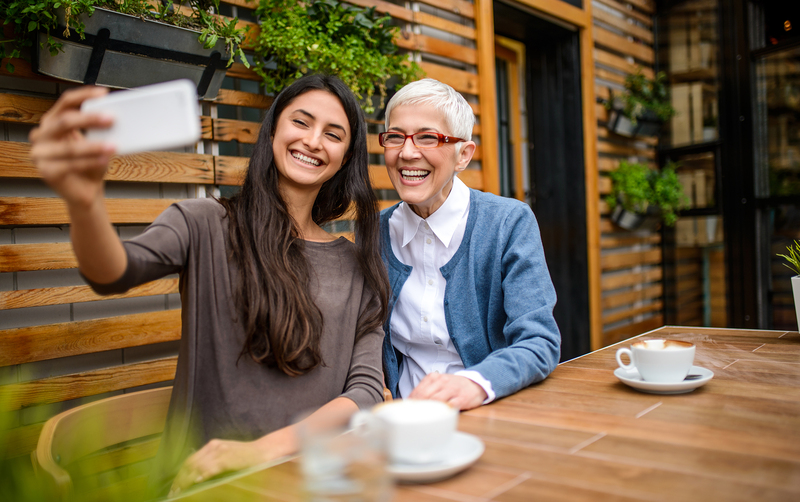 Giving your grandparents a chance to talk about theirs helps make that burden a little easier and gives you some pointers on what mistakes to avoid. 8. What was your favorite vacation? 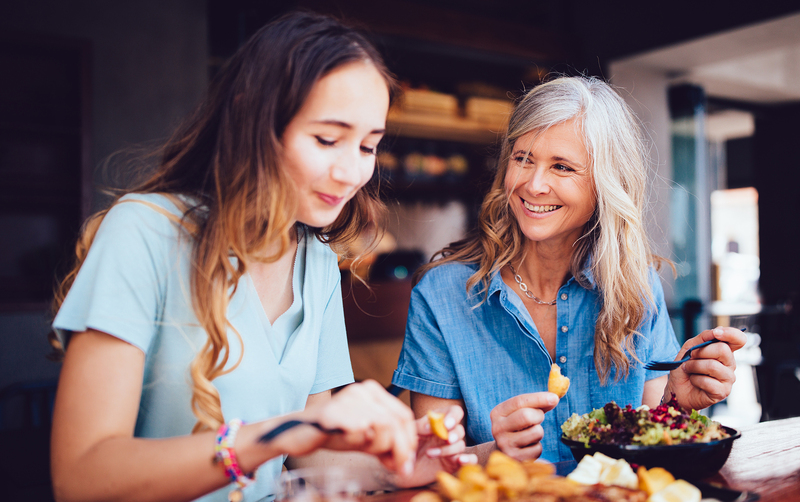 Whether it was a staycation or a relaxing exotic holiday, the time we spend together as a family is precious, help your grandparents relive their most pleasant and learn one of the best things to ask your grandparents to help give you ideas for your next trip. 9. If you could go anywhere in the world, where would it be? For some travel is a luxury, for others a reality, but in either case, there is no harm in dreaming. Find out where your grandparents would love to go (and perhaps plan a little surprise for them). 10. How did you handle the bad times? Life isn’t always rosy, and unfortunately, it won’t all be peaches and cream for you either. Learning how to embrace the bad with the good is a valuable life skill to have, so you better take this chance to learn from the best, most experienced people out there––your grandparents. Discover who your grandparents truly are by learning what they would change in this world if that were possible. Learn more about their morals, dreams and expectations, and a new side to them that perhaps you never seen before. 12. How did you two meet? A true romantic tale; discover how your family was founded by learning how these two wonderful people met. 13. Tell me about your first date? First dates can be awkward, so this is an excellent opportunity to reminisce and laugh together with your favorite people. 14. How did he/she propose? This is how it all began, aside from learning the romance of your grandparent’s relationship, you’ll learn how proposals were done back in the day. 15. What was it like raising my mom/dad? Time to dig up dirt, in case you need it. While, of course, we’re only joking, it’s always nice to hear about how your parents were when they were young (and great ammunition when they accuse you of being irresponsible). 16. What’s your top advice for relationship problems? Life is full of good time and tough ones; knowing how to work to make your relationship successful is a key skill, and what better people to learn from. 17. Did you have any health problems in childhood? Although many childhood diseases that existed years ago have been eradicated, knowing about health problems keeps you informed for your future health. 18. Are there any diseases that run in the family? A medical history of your family is a critical tool in treating any diseases you may experience or even preventing health problems you may be prone to. Knowledge is power. 19. How long did their parents live? Another key element in knowing more about your family from a health perspective is knowing about their parent’s lifespans. This not only gives you knowledge about how things were in the past but can help avoid future problems. 20. When did you first know you loved my grandpa? Ladies never tell! Well, except when gossiping with their favorite grandchildren, that is. Find out all the juicy tales of how these two lovebirds fell in love. 21. What advice would you give your granddaughter? Woman-to-woman, a grandma’s advice is priceless; now’s the time to listen and learn. 22. What was it like for women when you were young? Discover how the world has changed for women and the challenges and expectations that they once faced, and if that has changed for the better or worse. 23. How did you know you loved my grandmother? Time to ask the other side of the table and find out how you grandpa first knew he was in love. 24. What was expected of men when you were young? The world has changed, and men are no longer always expected to be breadwinners. This is an opportunity to find out what it was really like in your grandpa’s day. 25. Do you think the world has changed for men and women? As we grow, we view the world only as it is now. It’s time to change that and see the world through different eyes, you’ll widen your world view and become closer to your grandpa.